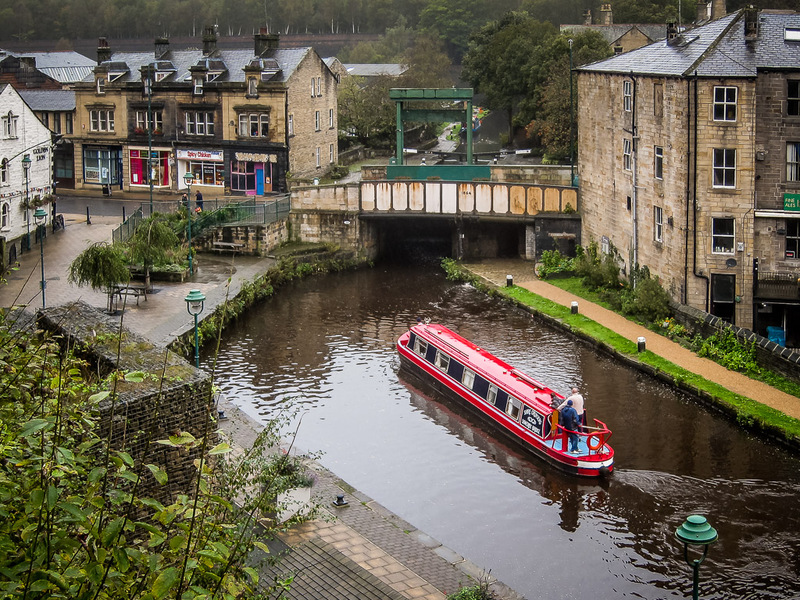 Todmorden is in the northern UK not far from Manchester. It's a wonderful old town. The northern UK is criscrossed by canals which were a major means of transportation throughout the region as increasing commercialization moved in. The canals provided economical transport of goods in and out of the region. Otherwise, it's a somewhat isolated series of valleys located in between highlands bordering either coast. At one time the canal system fell into disrepair, but groups organized and have been restoring the system and you can rent the boats for events, parties or vacations, etc. They are quite deep and roomy inside.